Gavin Newsom has already destroyed San Francisco. Rising crime rates, out of control homelessness, rampant public drug use, and the worst traffic in the nation. Don't let Gavin do the same to California. 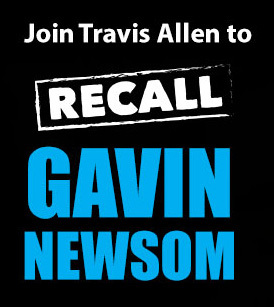 Sign the petition to Recall Gavin Newsom NOW! For far too long a few elites have run California for their own benefit, ignoring the needs of the majority of Californians while doing the bidding of special interests. California now has among the highest taxes in the nation, the highest effective poverty rate and half of the country's unsheltered homeless population. It's time to fight back and bring prosperity back to our state. It's time to Take Back California.